I am immensely proud to be able to share a guest post with you today. I won’t ever deny that I’m picky about this sort of thing but that’s because I know you and I take this seriously. 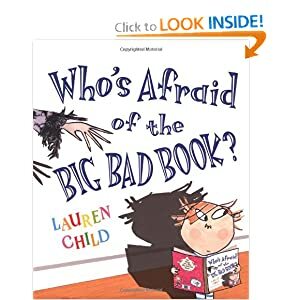 Children’s books are important, statuesque things and even more so in the frail and friable world we live in today. It’s with great pleasure then that I bring you this guest post, on Empathy Day, from Sita Brahmachari. The topic of empathy is a subject close to the heart of Brahmachari’s new novel, Tender Earth, and it’s something which has characterised much of her other work. I have a world of time for the eloquent, graceful and kind Kite Spirit, Artichoke Hearts and Jasmine Skies and look forward to reading and reviewing Tender Earth in due course. A final note: I was lucky enough to hear Sita speak at a conference a few years ago. I still remember her generous and inspirational words. My thanks to her for this. June 13th sees the first national empathy day and it feels to me like we need to see and feel greater levels of empathy on that day and every day. As a mother I worry about the impact of the often heartless, reactive words and actions that young people hear and experience every day. I have a thought a great deal about this when writing Tender Earth. How are young people navigating their way through the trials and conflicts of this time? How can we help them? Many characters in Tender Earth feel that the things they hear and see on the news, as well as exchanges on social media, lack a common humanity but there are also moments when my characters step inside the shoes of others and get an insight into each other’s way of life. Sometimes these insights begin with a small conversation at a bus stop or in a school corridor but they can be like a door opening just a little crack to let you in …. But because we are inquisitive, questioning beings we want to open that door wider so that we can see and experience what’s behind it and try to understand another’s experience no matter how hard that might be. ‘Laila I really want to invite you to where I live, but it’s nothing like your house! I don’t ask people back usually,’ Pari says as if that’s a good reason not to invite me. In Tender Earth each character who feels true empathy for another finds themselves having to ask some searching questions of themselves about what they can and should do to help each other. World events impact on Laila, Kez, Pari and their community just as they impact on you and I and they are stunned and saddened by some of the hateful actions of people in the their own city, but the thing about empathy is it demands an action no matter how small or seemingly insignificant this action might seem to the world. Even a small action, like laying a flower on a memorial for the children of Manchester, lighting a candle or a minute silence can be a powerful reminder of our human ability to feel deep empathy for each other. The fact that through stories, through fiction and non-fiction we can step into another person’s life even when they may be so different to ourselves is something that gives me hope in Tender Earth that young people might change the world for the better. The artichoke charm that appears in all three of my Levenson stories Artichoke Hearts, Jasmine Skies and Tender Earth is for me an empathy symbol and a metaphor for the process of writing. The outside leaves symbolises the guarded, protected layers we all often show to the world, it’s only in unpeeling the layers by getting to know someone’s story that we get to the softer more expressive heart of a person and in discovering that heart we ourselves are moved and changed to act differently. As you may gather from this, I am a fan of Sita Brahamachari. I think Artichoke Hearts and Jasmine Skies are two of the best, most perceptive and impressive books I’ve read for a long time. She is an exciting and brilliant writer. Kite Spirit opens with Kite discovering that her best friend has taken her life. Struggling to cope with her grief over losing Dawn, Kite is taken away to the countryside to help her recover. The main thing to note about Brahmachari is that she writes with an incredible grace. She is very, very good at getting to the truth inside her work, be that the emotional heartache of Mira in Artichoke Hearts or the near-incomprehensible pain of Kite in Kite Spirit. So why does Kite Spirit lack a star? It lacks a star, and it pains me that it does, but it lacks it because I longed for this book to be written in the first person voice. It opens in that, spilling the bright lovely Kite onto the page and then retreats into a third person narration for the rest of the book, only descending into first person intermittently. I struggled with that shift, wanting (so much) for the wild grace of Brahmachari’s more experimental prose to sing and for that perceptive, sympathetic elegance of her writing to be given full sway. Telling Kite’s story in third person just didn’t work for me, despite the intensely glorious nature of the story itself. Essentially I wanted more, because I know Brahmachari is capable of that. She’s so very capable. But the thing is, despite that probably quite personal reservation of mine, there’s a magic about Kite Spirit that can’t be denied. Reading a book by Brahmachari is a very precious thing indeed. And Kite Spirit is a more than fitting tribute to one of the best writers to emerge on the scene in recent years. It’s a book that is packed full of truth, sadness and a very quiet humanity. I’m very lucky in that I have access to an amazing children’s literature library. It’s one of those places that make you skip along the shelves and want to just stroke the spine of every book on the shelf. Even the ones that have been there a little too long, those ones who have gone pale in the sun, have a peculiar appeal. It’s an addictive place to visit. It’s a place that has sourced my best reads of this year. And it’s a place that I know is going to continue to inspire me next year. So here’s to the best reads of 2012! You’ll see not all of these books were published in 2012, but they are the best books I read this year. I spent 2012 surrounded by books I liked, and books I loved. And some of those books bordered on utter perfection. My David Almond phase with a look at the incredible My Name is Mina and My Dad’s A Birdman. These two books defined the end of the year for me and have had a massive impact on me. The other author who appears twice on my best of 2012 is Sita Brahmachari (who, if you get to hear speak, is ridiculously charming and coped very well with my geeking out in front of her – sorry Sita 😉 ) and her books Artichoke Hearts and Jasmine Skies. Magical, evocative books both. 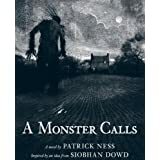 Patrick Ness’ multi-award winning piece of perfection A Monster Calls appears on my list and to be honest, is in a class of its own. The pairing of Patrick Ness’ spare, elegant text with Jim Kay’s illustrations is world-class. Another award winning book that’s on my best of 2012 is The Unforgotten Coat by my book Yoda Frank Cottrell Boyce. A gorgeous, sharply heart-breaking, and beautifully produced book. Then there’s the newcomer (to me!) Guy Bass with his reminder that good things come in small packages. The adorable Stitch Head was superb, moving, and a reminder of all that can be good in children’s books. 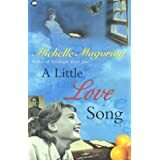 I came back to my other book Yoda – Michelle Magorian — and rediscovered her beyond perfect A Little Love Song. Magorian is so superbly gifted, and this book is a gift. She’s one of those effortlessly heartbreaking (and rather amazing) writers. And finally, I read an amazing picture book and a graphic novel. 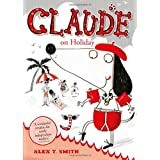 Alex T Smith dazzled me with the epic and hysterical glory of Claude on Holiday. If you’ve not discovered Claude and Sir Bobblysock, hop to it because you won’t be disappointed. 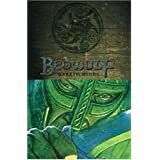 Graphic novel wise, I read a lot of good stuff but loved discovering the work of Gareth Hinds and his magisterial version of Beowulf in particular. Brahmachari stormed into publication with this stunning tribute to life, love and growing up. Told in first person by the engaging Mira Levenson, Artichoke Hearts covers some difficult topics but does so with such warmth and love that it’s hard not to fall in love with this rare gem of a book. The sequel to Artichoke Hearts, Jasmine Skies sees Mira exploring her heritage in India. Kolkata and India are intensely drawn with a lush richness that is gorgeous to read. Mira faces some difficult decisions and, in a way, completes the ‘coming of age’ story began in the previous novel. Both a stunning treatise on the book as object, the act of reading and also a metatextual treatment of fairytales, this book is superb. Plus it’s really, really very funny. I adore this. Adapting an epic poem into graphic novel form is no mean feat (have you seen a graphic novel version of The Rime of the Ancient Mariner for example?) but Hinds does it with brilliant skill. His book has dark, macabre artwork that is so vital that it practically sings from the page. Another book which deserves to be a classic, this is the story of Bob and his sister ‘The Rat’ on their way to New York to meet their long lost Uncle. If you’ve not read this, you’re missing out on one of the greatest female characters this century: The Rat. She’s adorable, gorgeous and heartbreaking. Similar to : Jack Kerouac meets Willy Wonka. This is one of Magorian’s lesser known titles, this is the story the summer where Rose fell in love, A Little Love Song is one of – and perhaps – her greatest. Set in the middle of the second world war, and featuring the ‘holiday’ town from Goodnight Mr Tom, it is a stunning achievement. What to say about this stunning multi-award winning book? It is devestating, stunning, and deserves to be a forever classic. 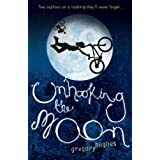 Based on an idea by the late Siobhan Dowd and ultimately written by Ness and illustrated by Jim Kay, Conor faces the unfaceable in the shape of a monster who visits him at night and forces him to confront the worst things in his life. Sometimes we need a book to just go giddy and revel in what it is. 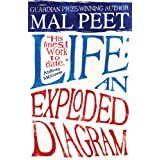 Life : An Exploded Diagram is such a book. Stretching majestically over countries, lives, and years, this book is vividly human and alive. Alive. It’s an interesting thing for a book to be, but this one is. This is probably one of the only books which has transferred the ‘saucy British seaside’ aesthetic into a witty, astute and very very funny picture book suitable for all ages. Claude, and his best friend Sir Bobblysock, go to the seaside and naturally hijinks ensue. This book is gorgeous. Laura Marlin deserves to be on the national curriculum. A funny, brave, Buffy-esque heroine (without the actual violence! 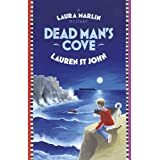 ), she’s sent to the seaside to live with her mysterious Uncle and rapidly discovers there’s mysteries in her new home. Jasmine Skies was a book I was very nervous about reading. I really shouldn’t have been. For some reason, I got it into my head that it couldn’t be anywhere near as good as Artichoke Hearts. And then I started thinking about the whole Difficult Second Album Theory. Essentially all this left me just looking at Jasmine Skies on the shelf and being genuinely nervous about picking it up. But, like I said, I shouldn’t have been. Jasmine Skies is the second story about Mira Levenson (previously introduced in Artichoke Hearts). In Jasmine Skies, Mira is flying to India to spend the summer with her aunt and cousin whom she’s never met. It’s a trip that is destined to change her life forever. Kolkata and India are brilliantly vivid and sing from the pages. Coupled with the bright, bold brilliance of India, Brahmachari has written a very quietly beautiful (achingly so) book. She marries some big themes here; poverty, fate, love, destiny and wraps them all around a coming of age story for Mira. I love how Brahmachari writes. I really do. She’s perceptive, sensitive, and kind. There’s a warmth to this story and a genuine love that’s almost palpable to experience. This is also a book about memory. Memories caught in the fold of times, scribbled down on paper or carved out of wood, and unable to be let go of. Now that I think about it, it’s a coming of age story, not just for Mira, but for everyone involved really. Horizon-stretching, perception-changing, Jasmine Skies is an utter treasure. And it ends on the most perfect note possible.